You are here: Home / FILM News from STUDIO BRIEFING / WILL LEATHERFACE CUT DOWN THE HOBBIT? 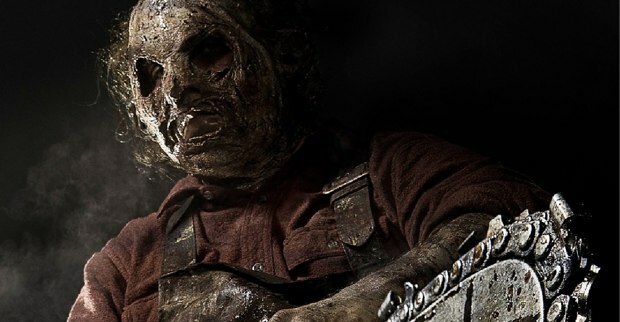 Only one new movie will be opening this weekend, and that one, Texas Chainsaw 3D, was not screened for critics. Although the movie is expected to perform well — despite all of the recent condemnation of violent films — most forecasters do not expect it to unseat The Hobbit: An Unexpected Journey at the top of the box office. In its fourth weekend, the Lord of the Rings prequel is expected to gross $20-25 million, with Chainsaw coming in at No. 2 with $13-18 million. Django Unchained and Les Misérables will battle for third place, according to several box-office pundits, although at least one, Ray Subers of BoxOfficeMojo.com, predicts that Django will top the box office with $19.9 million, while Les Mis will drop to fourth place with $17.2 million. (He predicts Chainsaw to debut in second place and The Hobbit to slip to third.) Expanding to about 1,575 theaters this weekend, will be the Matt Damon/John Krasinski environmental drama Promised Land. Its debut in 25 theaters last week appeared unpromising, and it is expected to earn only around $5 million as it opens wide.